Epistemic Freedom in Africa is about the struggle for African people to think, theorize, interpret the world and write from where they are located, unencumbered by Eurocentrism. The imperial denial of common humanity to some human beings meant that in turn their knowledges and experiences lost their value, their epistemic virtue. Now, in the twenty-first century, descendants of enslaved, displaced, colonized, and racialized peoples have entered academies across the world, proclaiming loudly that they are human beings, their lives matter and they were born into valid and legitimate knowledge systems that are capable of helping humanity to transcend the current epistemic and systemic crises. Together, they are engaging in diverse struggles for cognitive justice, fighting against the epistemic line which haunts the twenty-first century. The renowned historian and decolonial theorist Sabelo J. Ndlovu-Gatsheni offers a penetrating and well-argued case for centering Africa as a legitimate historical unit of analysis and epistemic site from which to interpret the world, whilst simultaneously making an equally strong argument for globalizing knowledge from Africa so as to attain ecologies of knowledges. This is a dual process of both deprovincializing Africa, and in turn provincializing Europe. The book highlights how the mental universe of Africa was invaded and colonized, the long-standing struggles for 'an African university', and the trajectories of contemporary decolonial movements such as Rhodes Must Fall and Fees Must Fall in South Africa. 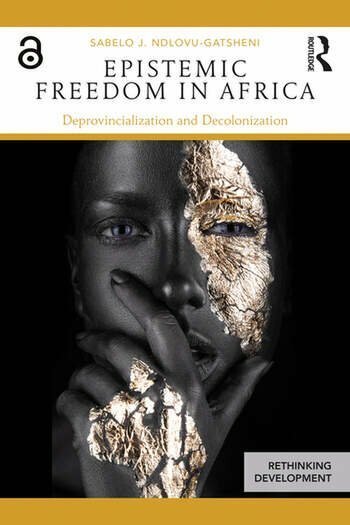 This landmark work underscores the fact that only once the problem of epistemic freedom has been addressed can Africa achieve political, cultural, economic and other freedoms. This groundbreaking new book is accessible to students and scholars across Education, History, Philosophy, Ethics, African Studies, Development Studies, Politics, International Relations, Sociology, Postcolonial Studies and the emerging field of Decolonial Studies. Sabelo J. Ndlovu-Gatsheni is Executive Director of the Change Management Unit (CMU) in the Principal and Vice-Chancellor’s office at the University of South Africa (UNISA), and Professor of African Political Economy at the Thabo Mbeki African Leadership Institute (TMALI) at the same institution. Previously, he headed the Archie Mafeje Research Institute for Applied Social Policy (AMRI). He is the author of 14 books, including Coloniality of Power in Postcolonial Africa: Myths of Decolonization (2013), Empire, Global Coloniality and African Subjectivity (2013) and most recently The Decolonial Mandela: Peace, Justice and the Politics of Life (2016).